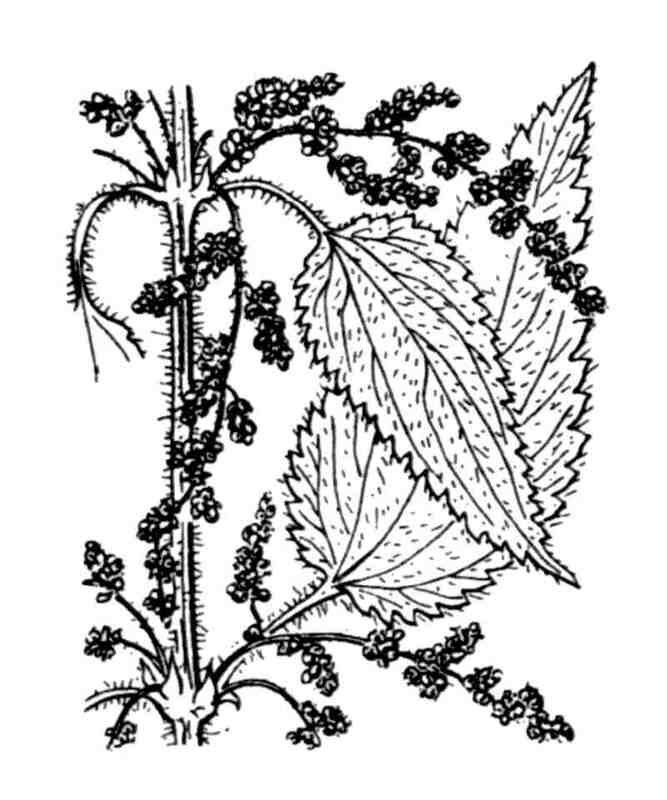 LATIN: Urtica dioica subsp dioica L.
Habitat: (view in new page) :Secondary : Areas of luxuriant vegetation, Wasteland - road borders and livestock resting areas. Habitat : (s'ouvrir nouvelle page) :Secondaire : Formations herbacées luxuriantes (mégaphorbaies), Bords des chemins et des reposoirs du bétail (rudérales). Urtica dioica subsp dioica L.
Écologie : Lieux incultes, dans toute la France et la Corse. Robust perennial with simple annual stems 30-150 cm high, growing erect from a strong, creeping, branched stock. Leaves: deep green, ovate-cordate or narrowly lanceolate, acute, rather deeply and acutely toothed, somewhat wrinkled. Fruit: Nut 1.5 x 1.0 mm, ovoid, not compressed, almost smooth, dark green.